Starting school for the first time, changing schools or returning to school can come with a range of differing emotions. Children can feel excited, overwhelmed, anxious, unsure and relieved, all at the same time. Parents can feel exactly the same. Here are five tips the Therapy Pro team put together to reduce anxiety, from their professional and personal experience of starting school. Invite your child to participate in as much of the decision making as possible. This might include allowing them to select their lunch box, the colour of their name labels, what fruit they would like for morning snack or their bag name tag. This will help them identify at school their special things and builds familiarity in their new world, helping them to feel secure. Show your child or let them help, when you are covering the books. Show them what you are doing so they understand these books are theirs to use. Allow them to choose which colour or cover goes on which book. Have a chat with your child about lunchtime and their lunch box. Can they open the lid to access the food? What food will be inside? You might need to open slightly the yogurt squeezy tubes at home in the morning, so your child can easily twist the top at morning tea or tear a small hold in biscuits and cracker packets, so they can access the food without struggling. If your child has been in daycare, where their meals are prepared for them, preparing a lunch box each morning can be a new concept for you and your child. Explain to your child that lunch won’t be handed to them and that now they are at school, they’ll have to manage their own lunch box. Talk to your child about what they would like to eat in advance, not with 10 minutes to go in the morning, and let them know what the lunch box will look like when packed. For some children, doing some rehearsals during the holidays might help reduce their anxiety about eating food from a lunch box. You might like to go to the park and pack a lunch box so you can see how they go accessing the box and the food. For some children, working with you to prepare a weekly menu might help them to know what to expect and will help you to prepare each day. Check the school rules about wrapper free days. Most schools will have a rubbish policy in addition to the foods to avoid and keep out of your lunch box policy, so keep your stress low and find out what these are before or in the first week. Buy larger packets of snacks like crackers and distribute amongst smaller reusable plastic containers at the start of the week, so you can easily grab your wrapper free snacks each day. Some children who haven’t developed the expressive language or cognitive ability to communicate may find visual boards useful to help guide them through steps in their daily routine. You might have a series of simple pictures that demonstrate what your child needs to do each morning – brush teeth, pack bag, put shoes on, bedtime – or what afterschool activities might take place. This helps everyone prepare for the day. Your therapist can help you identify which activities suit a visual board and how to implement one into your schedule. If your child is wearing a uniform for the first time, this will be exciting, but the new clothes can also cause discomfort or make everything itchy in sensitive children. Wearing leather shoes around the house in the holidays is helpful not only for blisters but to practice putting them on and doing them up. You may like to wash the uniform and get the fabric nice and soft, cut the tags off and let them wear it around the house to experience the new feel of the fabric and buttons, zips and collars. 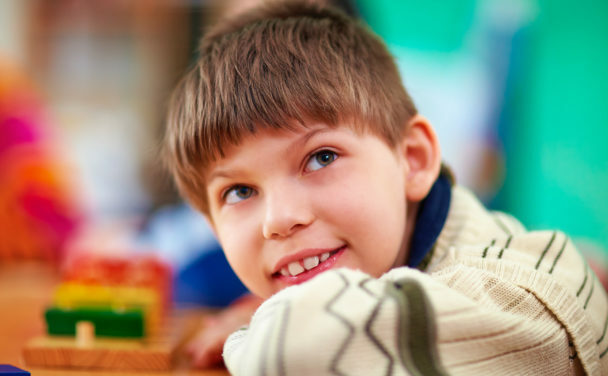 Visit our therapy for children page for more information about how we can help you and your child.